John Birch was born in Rothley in 1810. He lived all his married life with Sarah in a little cottage on the west side of North Street. No children appear in the census records. The two of them made a living at a stocking frame, and when John gave that up, he did a bit of gardening work. But he did love the church bells. Perhaps they were his children. 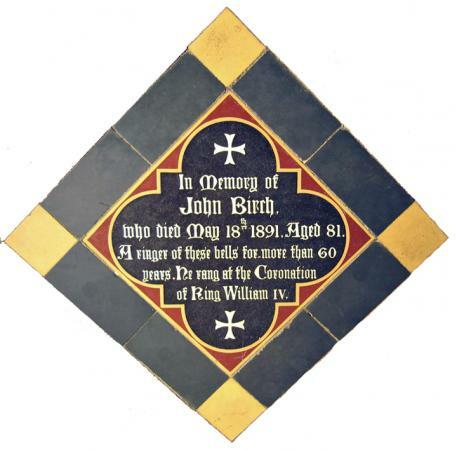 Who would have paid for this tile in his honour?